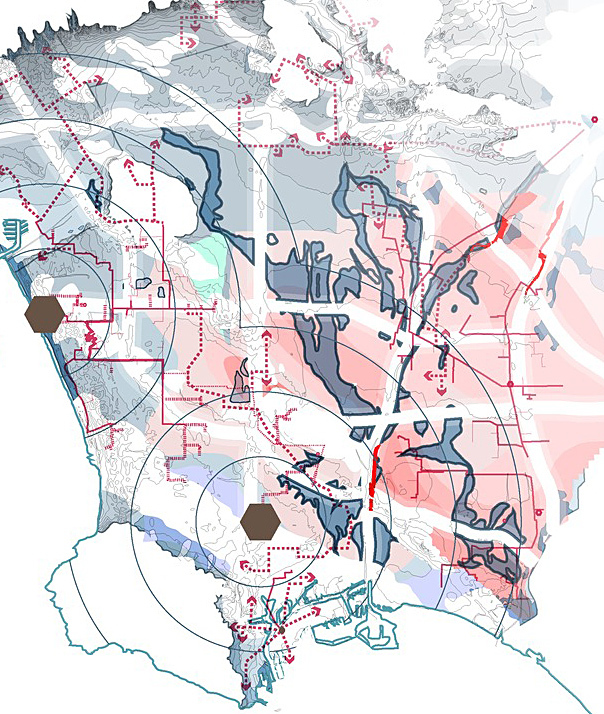 From Barry Lehrman's "Recharge City" proposal. 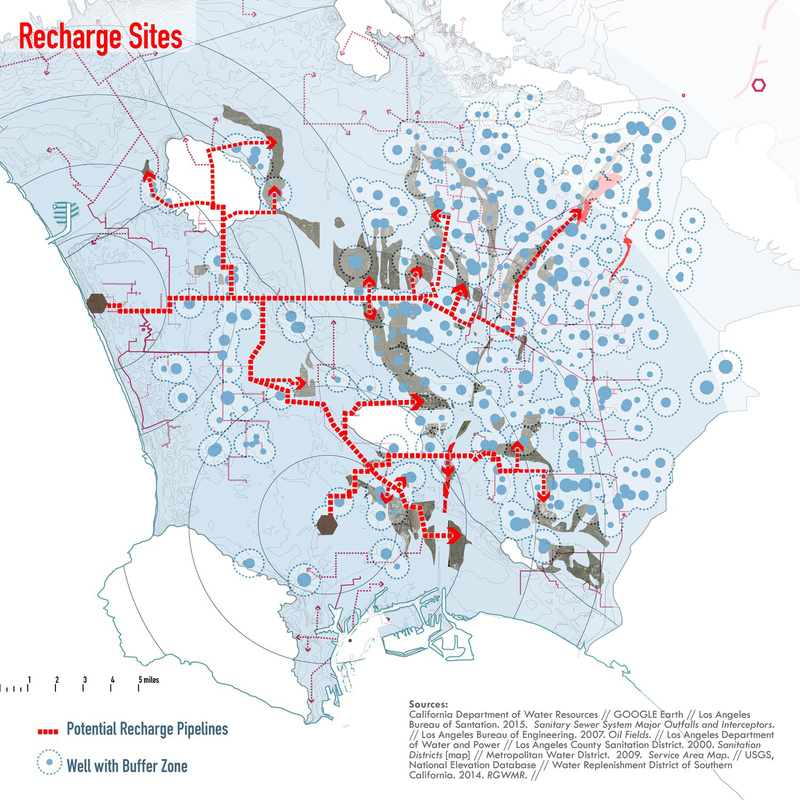 To identify plausible sites for recharge, this project undertook a holistic mapping of the water infrastructure for the metropolis - ultimately collecting data from over 50 local, state, and federal agencies. Barry Lehrman is an assistant professor of landscape architecture at Cal Poly Pomona. 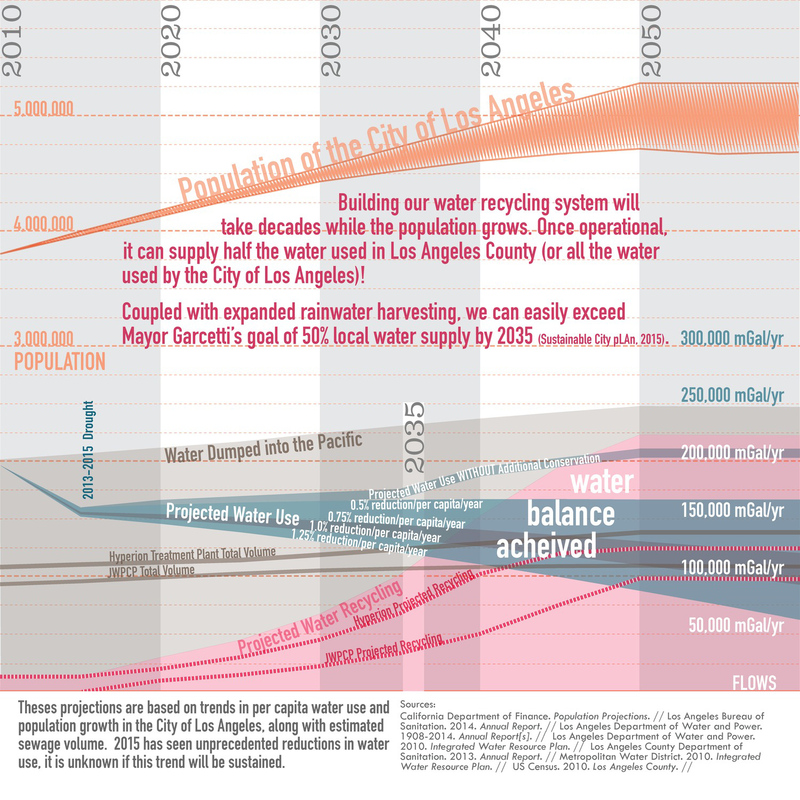 You can view the Recharge LA project website at www.rechargela.org/. Click here to see the other winners in both the Pragmatic and Speculative categories!